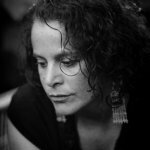 Elizabeth A. Jabar is a print based artist whose hybrid works on paper explore ideas of ethnicity and heritage. Her printed assemblages and artists’ books display a highly personal visual language that incorporates cultural motifs from folk art, religious traditions and textiles. Her practice also encompasses collaborative endeavors and social practice projects with her students and colleagues, including her recent project Future Mothers, which launched at the Institute for Contemporary Art in Portland, Maine in 2012. Jabar’s work is in the collections of Pratt Institute, Nova Scotia College of Art and Design, Tides Insti­tute, Maine Arts Commission, Amity Arts Foundation, New York Public Library and Print Zero Studios. Her work was recently published in Maine Art New and 50/ 50 A Survey of Contemporary Printmaking. Jabar has also won grants and awards including a fellowship residency at Vermont Studio Center and a Good Idea Grant from the Maine Arts Commission. Elizabeth is the Assistant Dean and Director of Public Engagement at Maine College of Art in Portland, Maine, where she also serves as Associate Professor and Chair of the Printmaking Program. She received her BFA from Massachusetts College of Art, Boston, Massachusetts and her MFA degree from Pratt Institute in Brooklyn, NY. Her works have been shown at galleries and museums nationally and internationally, including Vic­toria Arts Connection, Victoria, BC, Canada, Red Gher Gallery, National Gallery of Art, Ulaanbaatar, Mongolia, Women Networking, Zanzibar, Tanzania, Pyramid Atlantic, Rhode Island School of Design, Long Beach Island Foundation for the Arts and Sciences, Montserrat College, Colby College Museum of Art, The Institute of Contemporary Art at Maine College of Art, The Center for Maine Contemporary Art, University of New England, The College of the Atlantic, La Jolla Fiber Arts, La Jolla California, Print Zero Studios, Seattle, Washington, Brighthill Press, Treadwell, New York, Hunter College, New York and The Center for Book Arts, New York, NY. Colleen Kinsella is a printmaker and musician born in 1975 in White Plains, NY. She currently lives and works in Portland, Maine. She graduated in 1997 from Syracuse University with a BFA in Photography and Printmaking. 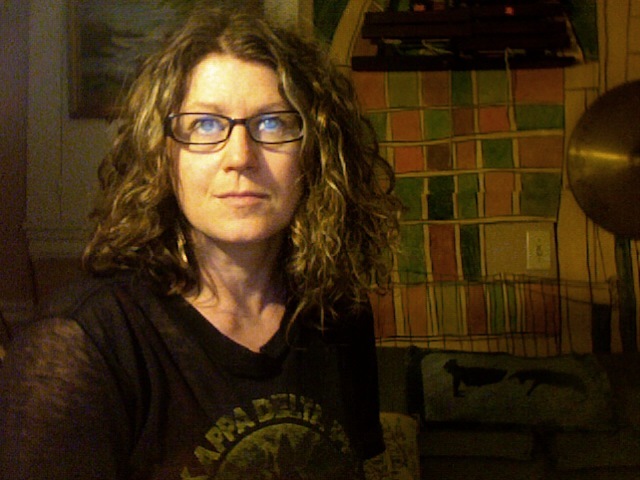 Kinsella has been a studio technician and instructor in the Printmaking Department at Maine College of Art since 2000.She will be teaching at USM’s Stone House Book Arts Program in the summer of 2014. Solo shows include S.I.X. Dogs in Athens, Greece (2011), Washington Arts Association, Whitefield, CT (2006) and Artist Image Resource in Pittsburgh, PA (2005). Juried shows include the International Print Center in New York, Portland Museum of Art Biennials (2011 & 2005), and Maine College of Art Faculty Selects in collaboration with artist Elizabeth Jabar (2012). As a printmaker and musician Kinsella’s process naturally tends toward collaboration. In 2006, she curated and programmed events for 24 artists, choreographers and performers to converge on Portland, Maine for a two-month interactive exhibition at Space Gallery. Her ongoing collaboration “Future Mothers” with artist Elizabeth Jabar was juried into 2012 Maine College of Art Faculty Selects and awarded a Maine Arts Commission Visibility Grant in 2014. Kinsella’s most recent collaboration is with the Ant Girls, comprised of established artists, Rebecca Goodale (USM Faculty Book artist), Vivien Russe (painter) and Dorothy Schwartz (Printmaker, Maine Humanities Council). They will install their expansive piece in 2014 at the Atrium Gallery at USM and the LC Bates Museum in Hinckley, Maine. The Ant Girls were awarded the Maine Arts Commission Artists in Communities Grant in 2013. As a musician, Kinsella’s creative approach with bands Cerberus Shoal, Fire on Fire and Big Blood blur the boundaries between art & music. Her iconic images have been published on over forty-five album covers. She has performed in over 22 countries from Ireland to Poland and across the US & Canada. Since 2006 Kinsella and her husband have written and recorded music as “Big Blood”.